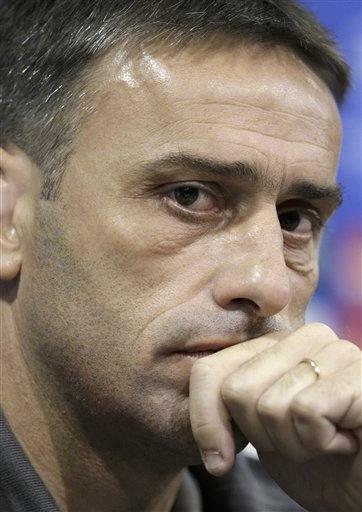 Former Sporting boss Paulo Bento has taken over the Portuguese hot seat from Carlos Queiroz. His contract will run from now until July 2012. Hopefully, Bento will be able to revitalize the Seleccao, currently in quite a lackluster form. Paulo Bento stressed that the team needs to think of itself as one collective unit, not a collection of individual stars.“We have quality, willingness and motivation to achieve this, and I believe that the players will make it so. I am positive no player is even contemplating not being at Euro 2012,” said Bento. One possible positive that may help Bento be a greater coach than Queiroz is that Bento has experienced playing as a player on the field for the National Team. He will understand what is running through a player’s mind as he makes his debut, or as he appears at his first World Cup. This knowledge could prove invaluable. Apparently, former Mexico boss Javier Aguirre was interested in the job too.